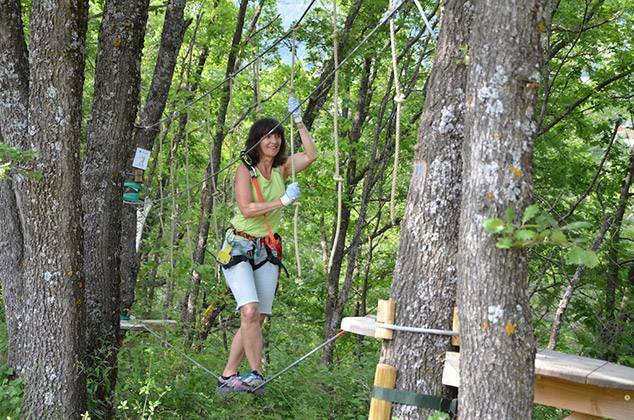 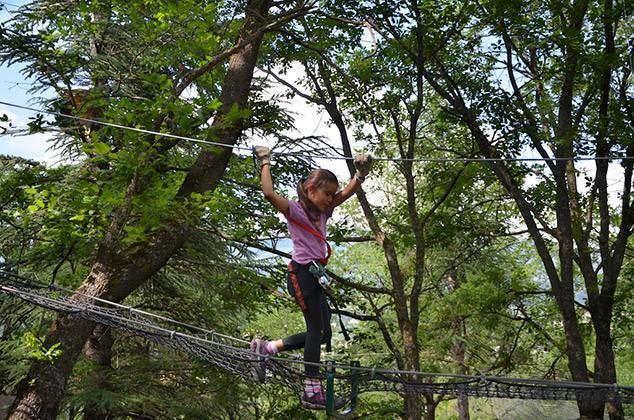 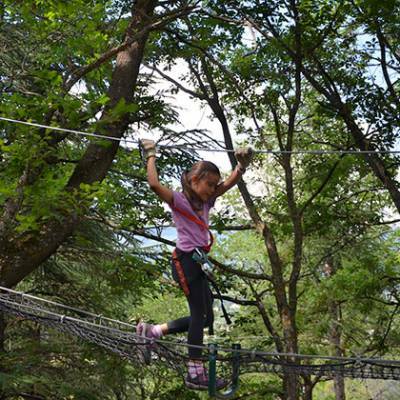 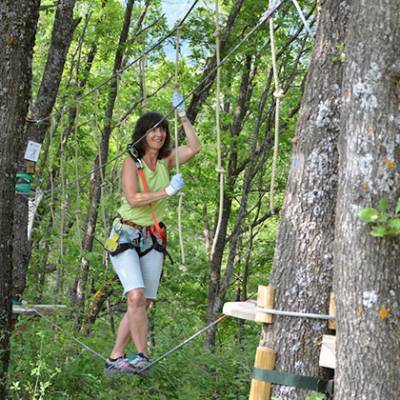 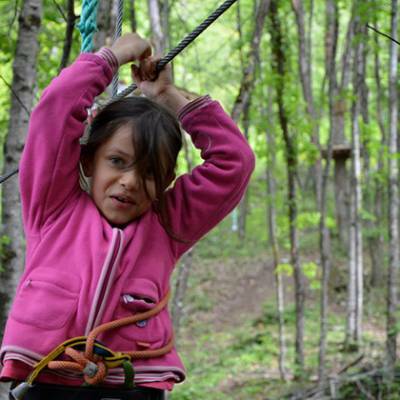 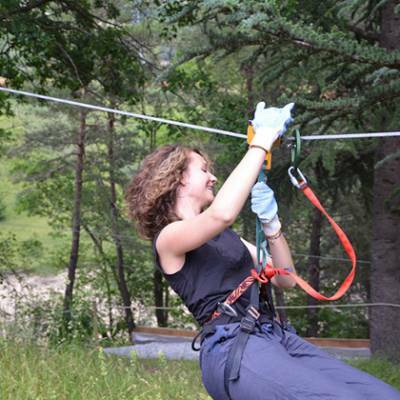 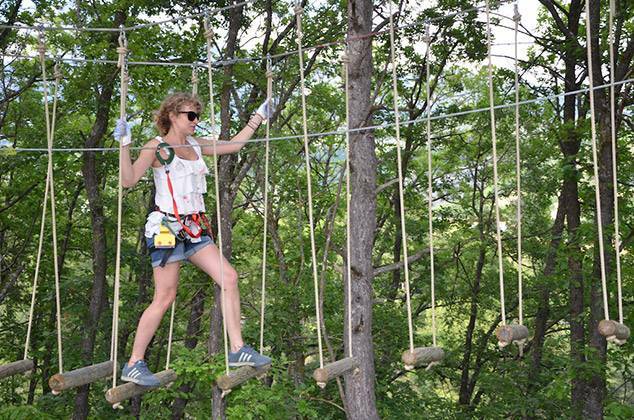 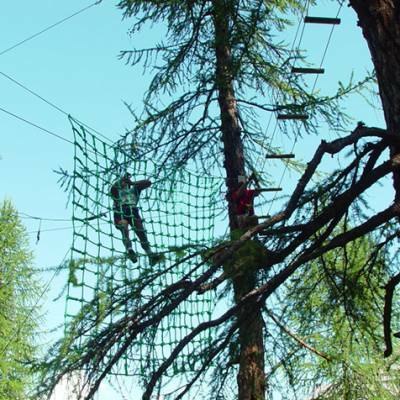 There are a wide range of different high ropes adventure courses set up around the Southern French Alps, each with their own character and individual obstacles, including one of the biggest in Europe called "Jungle Aventure". 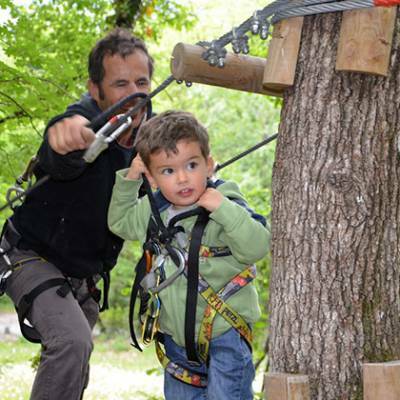 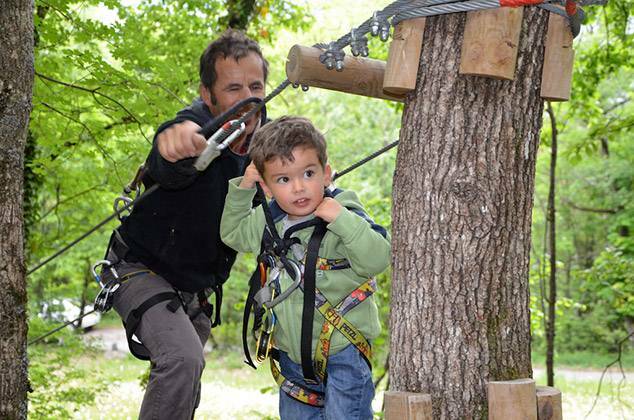 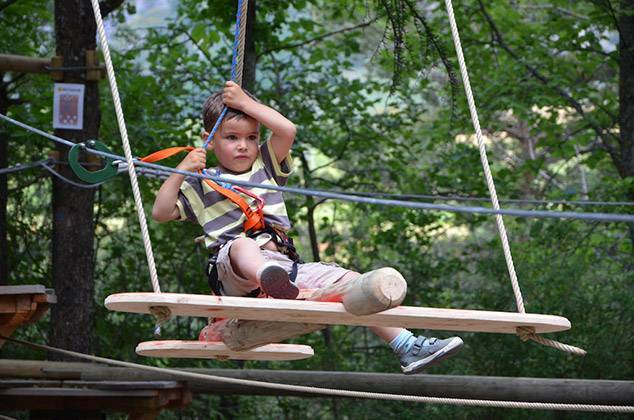 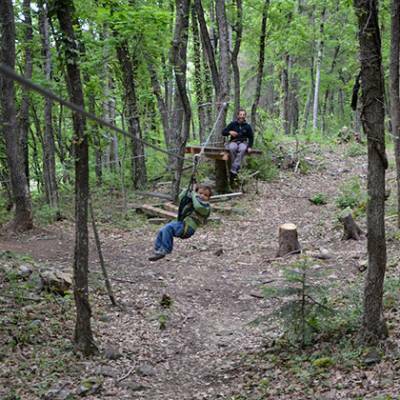 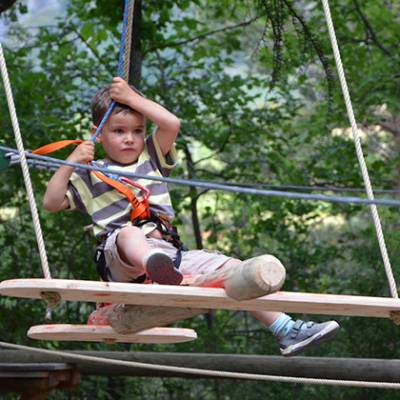 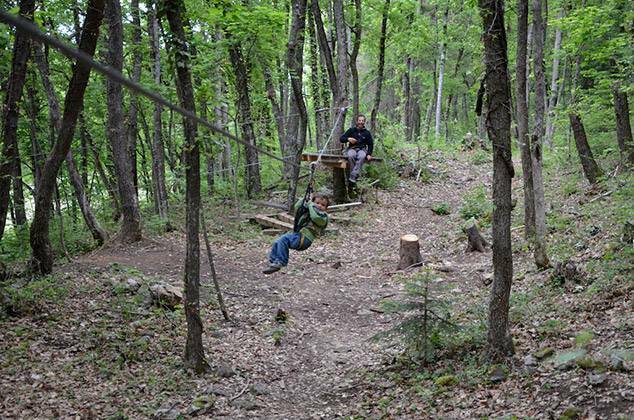 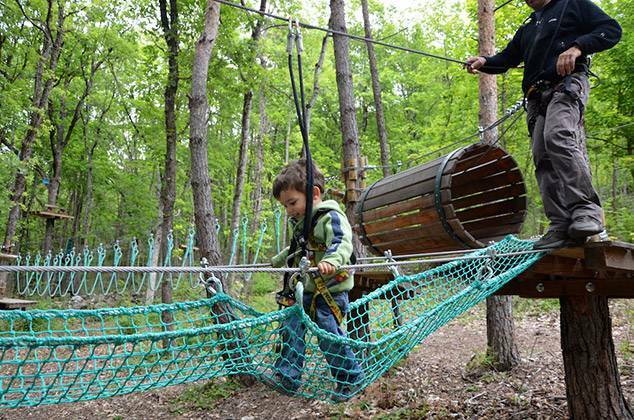 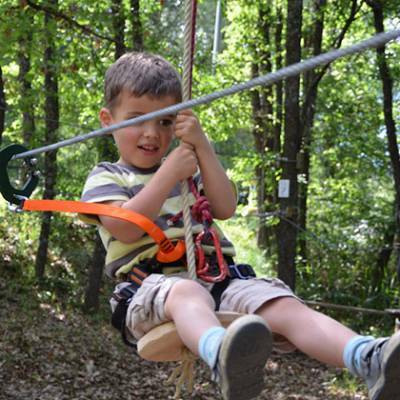 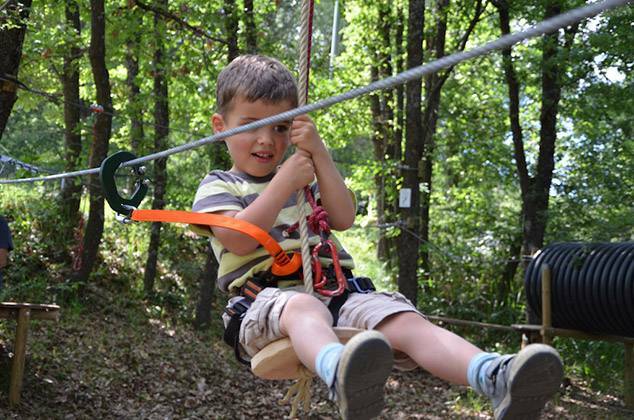 For youngsters (age 3 and above), try the aeroplane flying obstacle at the Baie de St Michel whilst your older brother or sister or mum or dad go for the feet dipping Tyrolean zip wire over the majestic Serre-Ponçon lake! 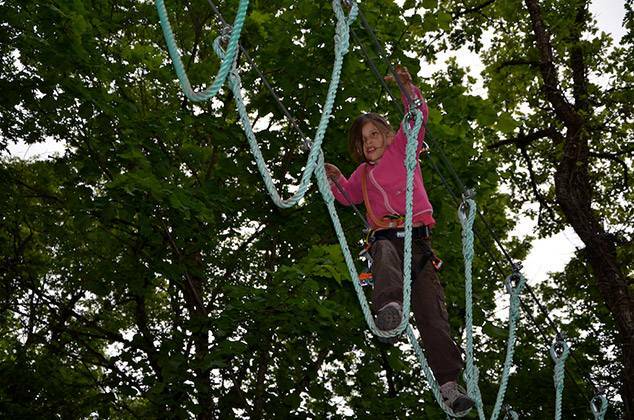 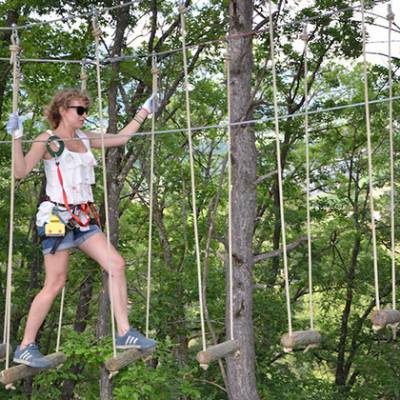 For adrenaline seekers, try the extreme high ropes adventure course in Laye and see how daring your really are when faced with the giant Tarzan jump! 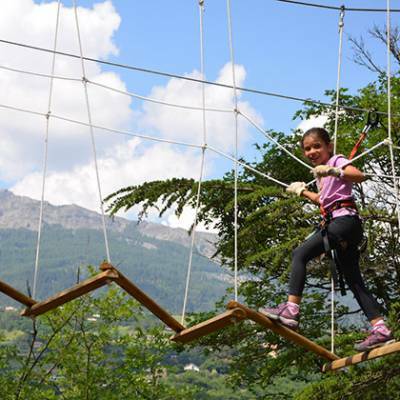 Go for a slightly tamer but still pretty challenging obstacle course around the swimming lake at the beautiful Plan d'Eau du Champsaur and get a free afternoon's kayak hire thrown in! 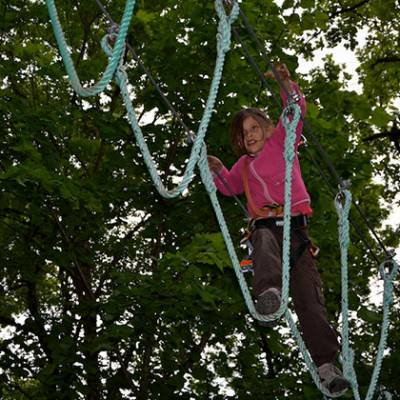 Each centre has a choice of routes you can do and cater for young children right through to dare devil thrill seekers. 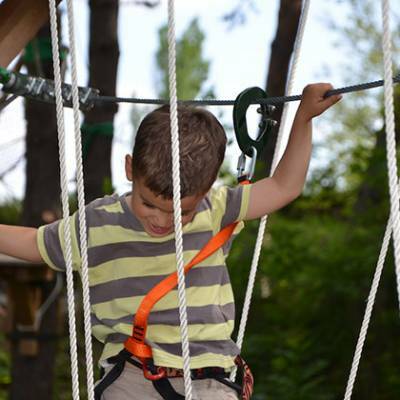 Most courses for younger children (age 3 to 6) require a parent to supervise their child or do the course with the child. 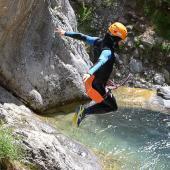 The extreme courses really are challenging and you won't be allowed to do them until you have proven your ability on an initiation course - so be prepared! 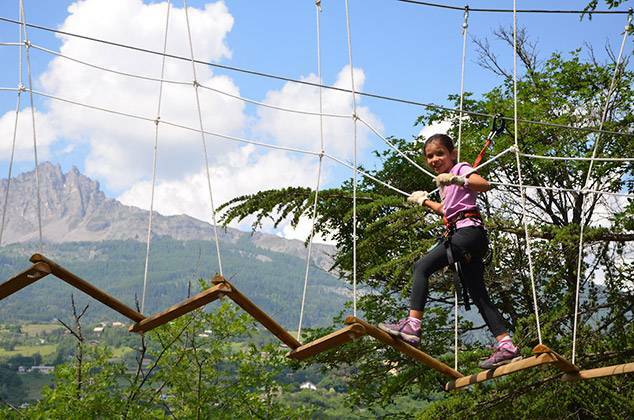 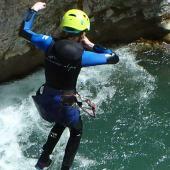 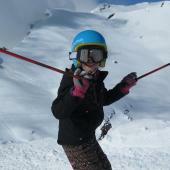 They really are great fun and a definite 'must try' on any activity holiday. 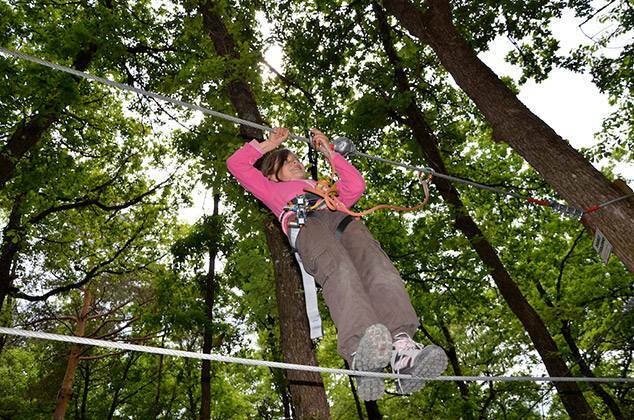 Before starting the course you will be given a thorough safety briefing and the instructors will be continuously checking that you are moving safely once you are on the course. 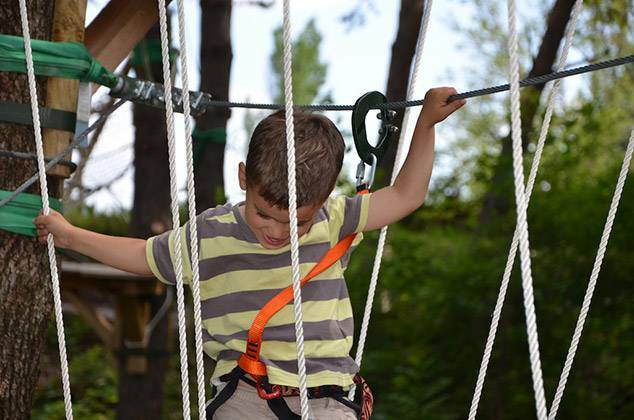 The new rules require that the safety system uses 'intelligent carabiners' so that it is difficult to detach both at the same time and new centres have a fully closed system so that once you are on a course you can't get off without the help of a supervisor. 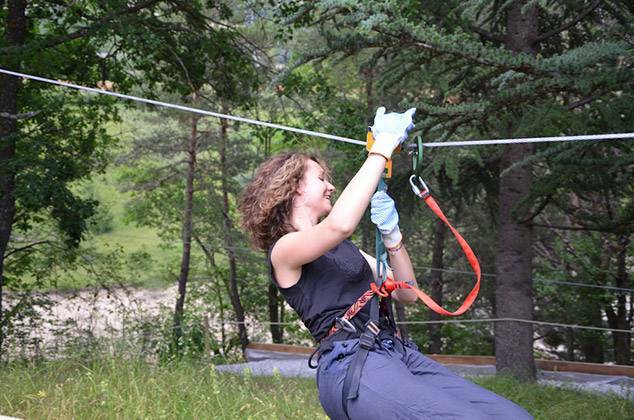 All the centres we use conform to the latest European safety standards and are continually supervised by experienced and qualified staff. 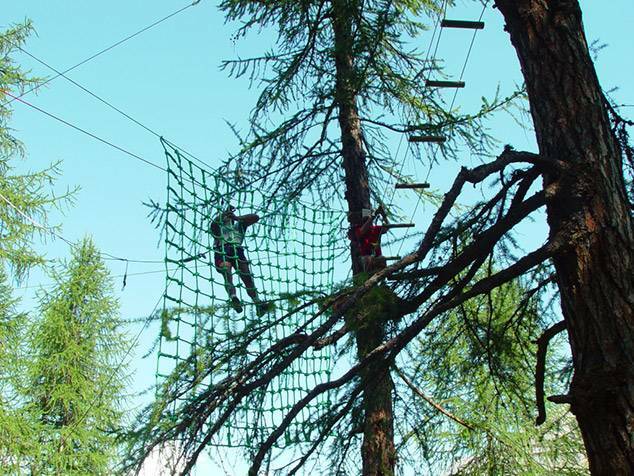 A vertical, horizontal and personal challenge for those with a head for heights and sense of adventure! 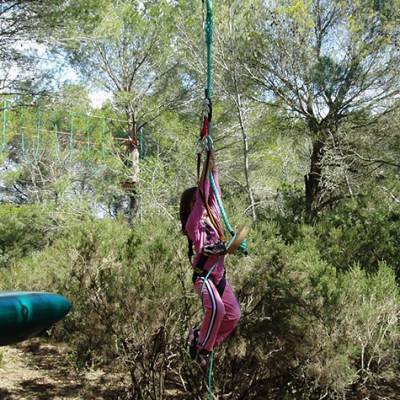 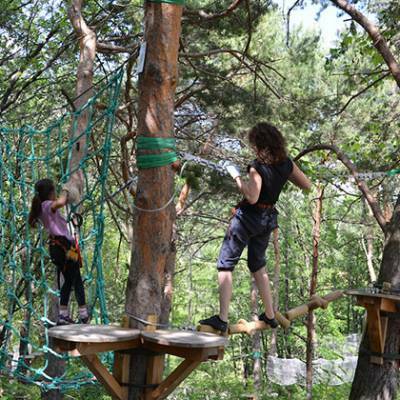 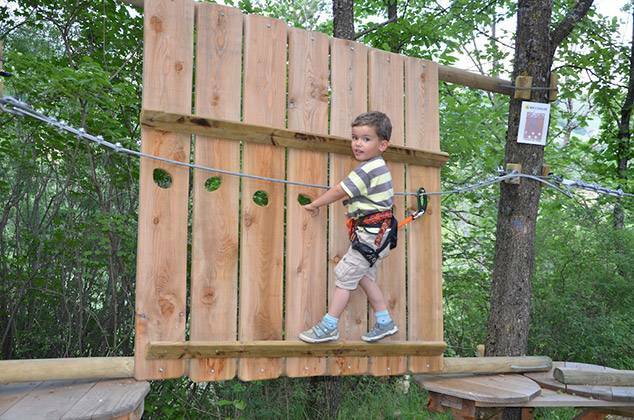 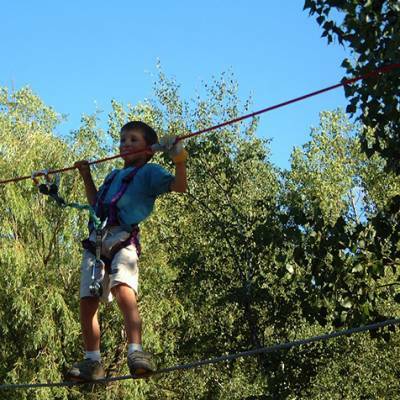 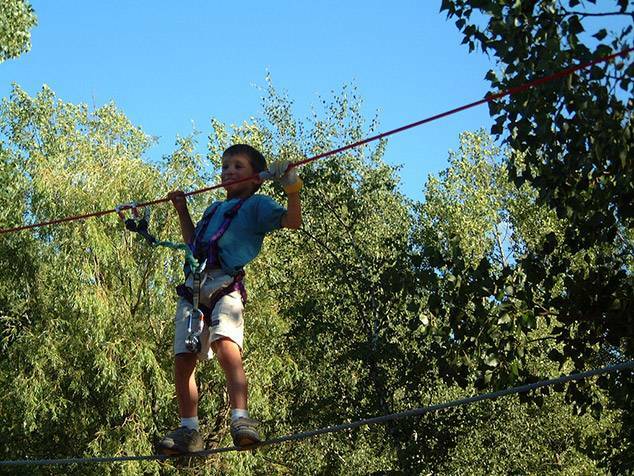 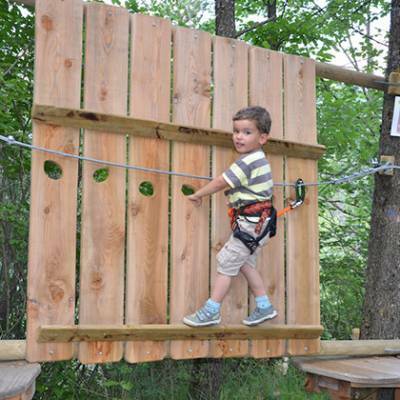 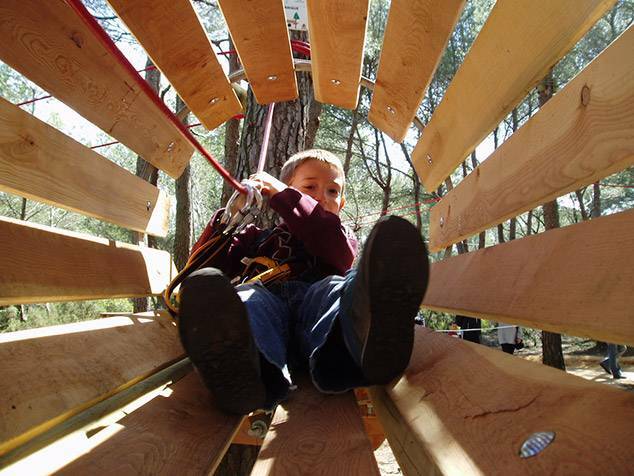 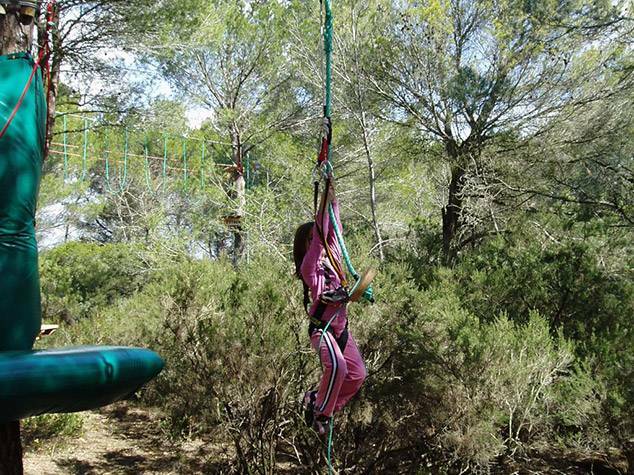 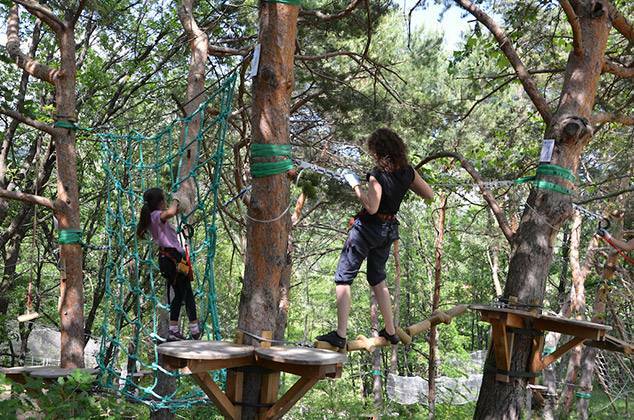 Minimum age ranges from 3 to 16 depending on the high ropes adventure course. 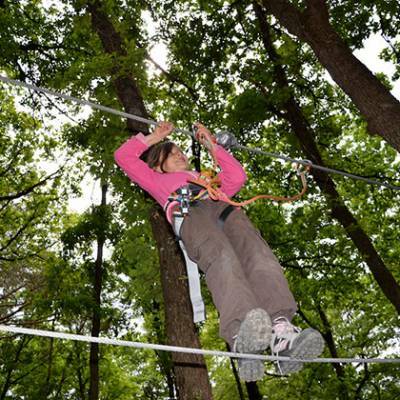 Each base has a range of courses adapted to different ages and abilities. 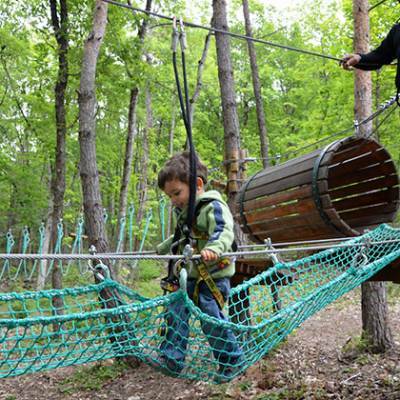 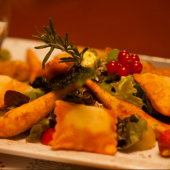 No previous experience is needed. 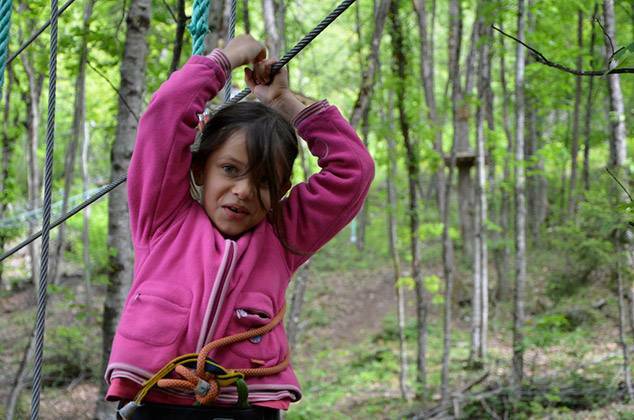 You just need to have a positive attitude and enjoy a challenge!